These large beanies are made from rayon knit, which is ultrasoft, light and strong and has excellent wicking properties. They are self-lined (double layer) soft, versatile stretch knit caps that can even cover your ears without being heavy or hot. 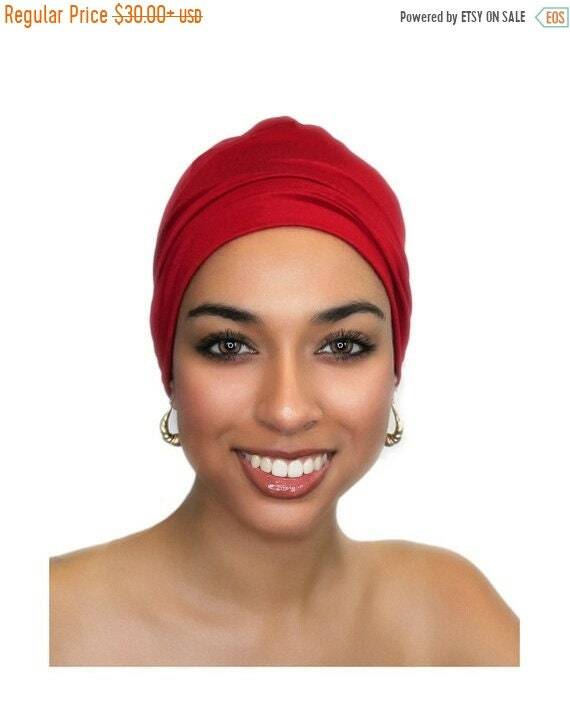 Add a matching headband for more volume and an instant pretied turban. Purchase both as a matched set and save $5. Select from menu when ordering. Image 2, options for hat with matching headband (sold separately or as a set). Shown in Emerald Teal and Black. Hat or headband can be worn under another hat to disguise hair loss. The front can be rolled back or scrunched for a close, cozy fit. Love the different turban styles but too busy to tie them? 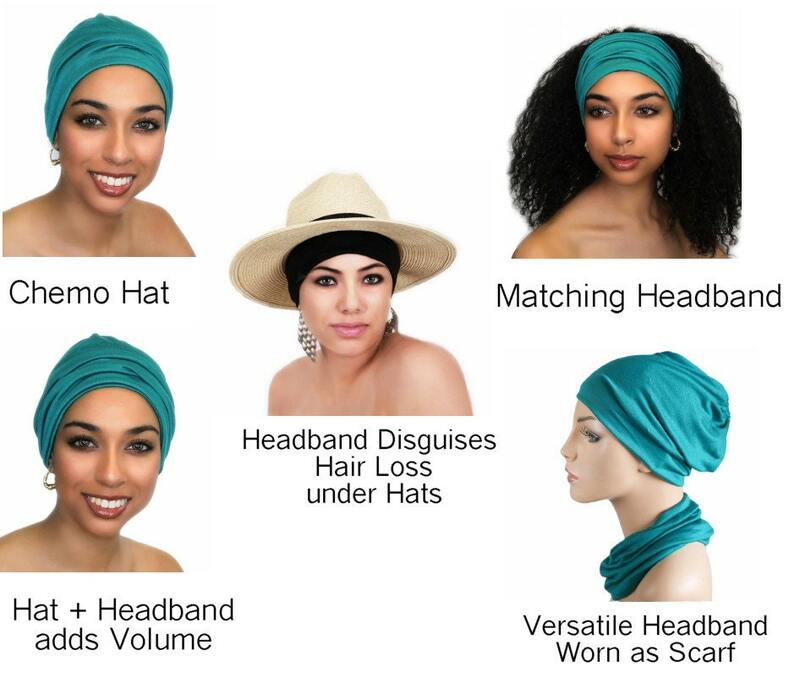 Mix & match turban headbands can be added to a matching turban hat or worn alone with your own hair, a wig or with another scarf. Buy both as a MATCHING set and save $5! 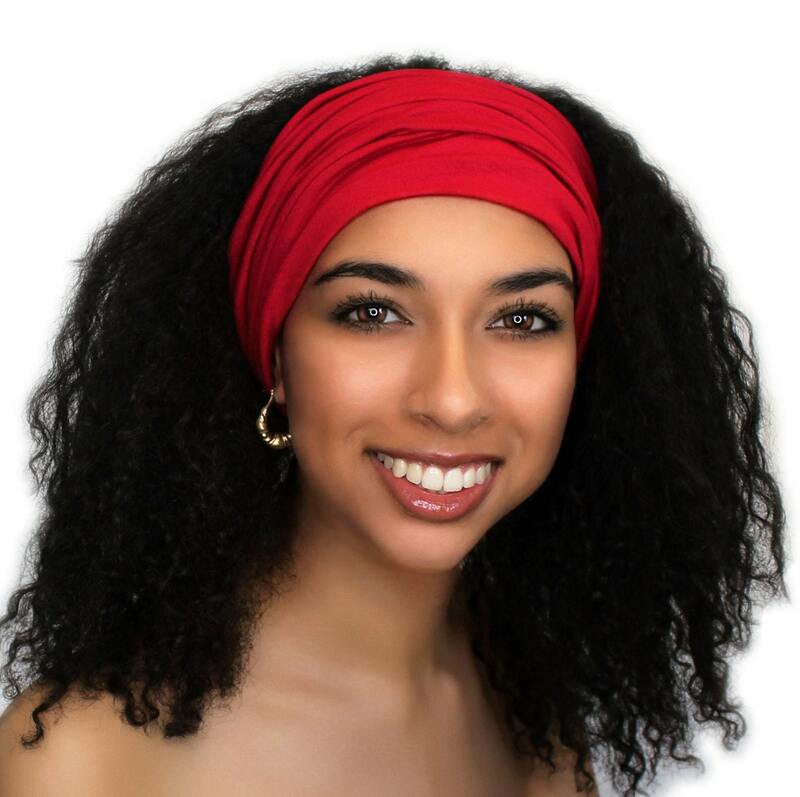 8-1/2" Wide headband is self-lined (double layer) for beautiful volume without tying or wrapping. Wear it as a wide head wrap or neck scarf. Very comfy. Great color. Wonderful and caring seller. Thank you so much for making my cousin's life easier during her fight with cancer. She absolutely loves her caps. You make such a lovely and comfortable product. I can't recommend you highly enough.